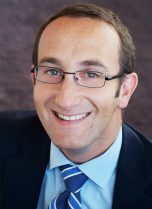 Stéphane Perrotto is one of the founding partners of Accuracy. Stéphane advises large corporations and private equity investors on some of their critical operations or decisions including buy-side and sell-side due diligence, international disputes, and assistance in business restructuring, business plan preparation and business valuation. Prior to founding Accuracy, Stéphane was with Ernst & Young in Paris (formerly Arthur Andersen) having joined the firm in 1992. Stéphane speaks French, English and Spanish. He regularly leads cross-border engagements in all three languages.